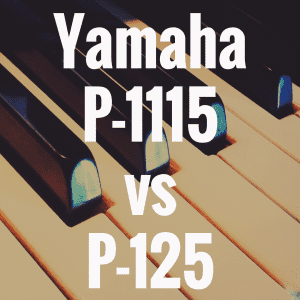 You are here: Home / MIDI Keyboards & Synthesizers / Analog Synthesizer vs. Digital Synthesizer: Which is Better? Since the 1980s, synthesizers have split off into two sections: digital and analog. And despite that long length of time, many people still aren’t quite sure what the difference is between analog and digital synths, and how that difference should help inform your buying decision. And before we begin breaking down analog and digital synths, please take a moment to view our interactive table below. Inside the table, you’ll be able to directly compare a variety of analog and digital synths against one another (some of which will be discussed in-depth in this article today). What Is an Analog Synthesizer? So first, let’s begin with the analog synth. Basically, an analog synthesizer “synthesizes” sounds by sending waveforms through the circuit board in different shapes. There are a few different shapes, such as saw, square, triangle, and sine. They each sound a little different from each other. For instance, a saw wave is very buzzy sounding, but a sine wave is perfectly smooth. That’s because a saw waveform is pointy and sharp, and a sine wave is smooth. Those are the raw waveforms. The rest of everything you do on a synthesizer is filtering these raw waveforms. You can do this in a variety of ways, such as adjusting the cutoff and resonance filters (the lower these are, the more mellow the sound will be) or by adjusting the length of the notes through the attack, decay, release, and sustain envelopes. So essentially, there are filters and envelopes, and they make up the majority of types of variations you can make on sounds. There are more, but these are the primary parameters. So while analog synths use real circuits to create these sounds, digital synths emulate analog synths. So you could say that digital synths are copies of analog synths. Now, this can be a problem for some synth purists, especially those who feel like digital synths can’t fully capture the customizability of the analog synth. On some days, I lean on the side of the analog lovers. The feel and sound of real hardware can feel thick, warm, and vintage. On other days, I feel like digital synths do an even better job because they have presets of refined synth settings that are prepackaged and ready to go. I think analog synths are better for customizing sounds. I know that some digital synthesizers require you to scroll through different sound tweaking options. For instance, I love the MicroKorg but it can get difficult when you want to adjust a pitch envelope but you have to assign that function to a knob. Whereas on something like the Minilogue, an analog synth, there’s already a knob for pitch adjusting and detuning, so it’s a lot more comprehensive workflow-wise. On the flipside, digital synths have the opportunity to make a cleaner user interface. For instance, a digital synth might only have a few knobs, and you can simply scroll between parameters before selecting the one you want to adjust. Plus on some, you can also assign effects to assignable knobs, which you can’t do on an analog synth. So, for me, I prefer hands-on customizability and more adjustability for the raw waveforms. So analog synths are better for me. However, some people prefer the powerful presets that come on a digital synth and the assignable knobs and simply features of a digital synth. In my opinion, you’d have to try a synth for yourself to find out which style you’d like. But I think there are amazing analog synths and bad analog synths, just like I think there are amazing digital synths and bad digital synths. With that said, let’s take a look at the features you might find on an analog synth versus that of the digital synth. 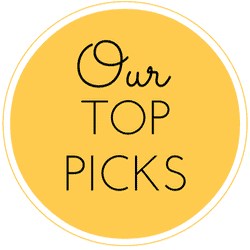 With this in mind, I want to tell you about my 5 favorite synthesizers, some digital and some analog, and how they match up with each other in my top rated synthesizers list. 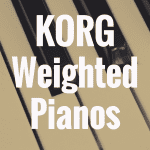 The Korg MicroKorg is a digital synth with 37 keys. It’s got a couple of knobs that can be rotated to be assigned to different instrument and genre types. It’s polyphonic, so you can play more than one key at once. The keys feel good but the real beautiful thing about this synth is that it sounds great and is easy to use. One of my favorite things to play with on this synth is the arpeggiator, which sequences any notes you play to a previously determined tempo. It’s retro sounding like the Tron or Drive Soundtrack, and it’s a lot of fun to mess with. 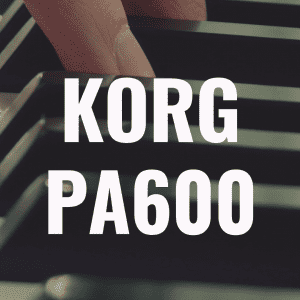 The MicroKorg is a good introductory instrument to synthesis because it teaches you what kinds of sounds are used in industry standard synth sound design by giving you powerful presets that are already dialed in by professional sound designers. Of course, you can tweak sounds on the MicroKorg as much as you want, but you don’t start from scratch like an analog synth unless you select an init preset. It’s a great synth at a great price, so I’d recommend it to those of you who want the simplicity of a great digital synth. I really like Roland’s digital synths actually. I own an old D-50, and I’d put that one on this list but it’s kind of hard to find (I tracked mine down from a guy who lived two hours away from me) and there are a lot of memory cards you need, and it’s kind of pain if you’re not really into the old linear PCM hybrid synthesis thing. So Roland recently came out with the System 1, which is really close to an analog synth in terms of layout. All of the parameters have corresponding physical knobs to tweak, but it actually simulates an analog circuit. That makes it more affordable and reliable, as old analog stuff can break if you’re not careful. The reason I like the System 1 so much is because it really feels like an analog synth. It all makes sense. Plus Roland’s new series of effects, like the scatter effect, are super cool. If you turn it on it makes it sound glitch and futuristic, but because it’s simulating analog waveforms it also sounds retro. Some negatives about this synth: you can still tell it’s digital. There’s just something about the unreliability of analog synths, where you can “accidentally” get really cool sounds, that you can’t really find on this guy. Also, I’m not super into Roland’s new cheesy green button color. It makes it look cheap and unprofessional. Overall though, it is quite a cool synth, and for $500 it’s a great purchase, especially for digital synth lovers. It’s a 4.3 out of 5 in my book. And I think I’d gladly spend an extra hundred dollars to get this one instead of the MicroKorg, just because everything has its own button. I know we’re taking a big price jump, but don’t worry, we’ll come back down in a minute. The Prophet 6 by Dave Smith at Sequential might be one of the greatest tributes to analog synthesizer history of all time. There’s not a sound you can’t make on this thing, and believe me, I’ve tried. There’s something about the warmth and power of this synth that’s mind-blowing, truly. Let’s talk specs. 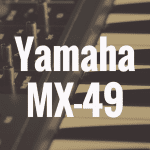 It’s a 49 key polyphonic analog synthesizer with velocity, aftertouch, 6 oscillators, nearly any waveform imaginable, plus all of your standard filters and envelopes, and a pitch and modulation wheel. If you know analog synths, the fact that all of this is on one synth should shock you. Normally, a lot of analog synths are monophonic, meaning you can only play one note at a time. And the fact that you can edit everything to such a dramatic effect and still have polyphony means this thing must be a beast. Of course it sounds gorgeous, all of the hardware and circuitry is done to perfection. Now unlike some analog synths, the Prophet 6 does actually come with presets. Basically, when you click on a preset, it automatically routes the circuits for you electronically to already land on every filter and other effect that comes with it. There’s so much on this synth, that you’ll probably need to look at it yourself or simply demo it on your own to discover everything about it. Here’s the specs page if you want more info on what it can do. One negative aspect is that it’s almost impossible to afford a synth like this when you’re first starting out. It’s a pro synth, and the price is steep—very steep. Is it worth it? If you can afford it, absolutely. But it’s not worth selling your car to acquire. It’s still one of my favorite synths despite the high price. I’d give it a 4.7 out of 5—not a perfect score because it’s so expensive. In fact, despite my affection for this synth, I’d argue you could get something slightly cheaper that can also do many of the same things (something like the Nord Lead 4, for example). Nord is a Swedish company that makes handmade keyboards, organs, clavs, and drum machines. They also make “virtual analog” synthesizers, which basically means digital synths, but their Lead 4 synth is incredible. It’s got the famous Nord red coloring, with all kinds of buttons and knobs for modifying parameters, effects, filters, and envelopes. It simulates analog oscillators very well and lets you assign waveforms to different oscillators, something not possible for analog synths. It has 49 polyphonic keys, and I think the Nord keys might feel a little better than the Prohet 6’s, although the sounds aren’t quite there. Don’t get me wrong; Nord simulates analog sounds very well. But the way it’s routed is a little different. Most of the Lead 4’s effects can be tweaked the way I like the tweak synth effects: without worrying about assigning filters to knobs, etc. And I really love that about this synth. But not everything is onboard. For instance, if you want to change the pattern to a straight or swung arpeggiator, you can’t simply click a button. You have to scroll through a bunch of menu options, and it can get confusing. It’s a small complaint, but for $2300, I’d hope it would be almost perfect. Because it gives you almost as many of the same features as the Prophet 6 (minus the fact that it’s digital) and costs less, I think it barely beats the Prophet 6, just because you get more features for less money, and I think Nord’s Lead series is both smart and innovative in the world of digital synths. My favorite synth company is Moog. They make pretty much only analog synths, and believe me when I tell you that nothing sounds like a Moog. It’s the fattest analog sound on the market and has been for years. It’s perfection for sound design, decent for playing, and perfect to mess around with. The Moog Sub 37 Tribute Edition is a 37 key synth that makes no exception to the rule that Moog dominates synth sounds. So, everything is onboard when it comes to synth parameters. 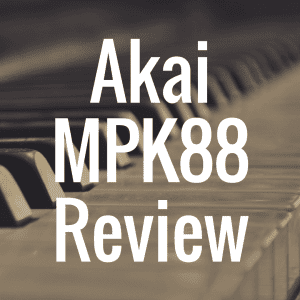 You can play two notes at a time, which on a 37 key keyboard isn’t that bad, but it’s really more about the “tweak-ability” than anything else. The Moog arpeggiator is perfect, and I’m not really sure why. It just pulses differently than a lot of other analog synths. One of the best things you can do with a Moog is to latch the arpeggiator and play with the filters. It sounds so good, it’ll feel like it’s professionally mixed already. It’s a lot of fun. I mentioned earlier that playability isn’t that important. Of course it’s important, I’d just like to clarify that the reason to spend $1500 on an analog synthesizer shouldn’t just be because it feels nice to play. You buy a synth for the sounds. And while Dave Smith and Nord are right there with the Moog, I have to give it to Moog for always making the thickest warmest sounds in analog synthesis to date. Is the Sub 37 Tribute perfect? No. The patches are hard to get through, although you should really try to make stuff from scratch on this one (you can learn more about the presets here). Also, I wish you could play four notes instead of only two. It’s also a little heavy, at 31 pounds. For perspective, the Prophet 6 weighs 12 lbs. and it has more keys. But I suppose that’s the sacrifice you make to acquire the best analog circuitry around. I’d give the Moog 37 Tribute Edition a 4.9 out of 5 stars. It’s my first choice for a high quality analog synth, especially when some of the better ones are just too expensive. So now you probably know the difference between analog and digital synthesizers. And after everything we’ve covered today, in my opinion, analog is better. However, I’d gladly purchase any of the digital synths on this list because I realize that digital has a lot to offer that analog cannot match. If you think you’d like digital synths better, then don’t be afraid to explore your own options. There are great digital and analog synths, all at varying prices, and each with their own benefit. Just be sure that when you are ready to buy a synthesizer, that it has what you like, not what I like, nor what anyone else likes. If you do that, you’ll love your synthesizer forever. 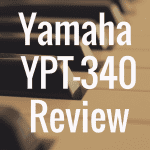 If you enjoyed this article and would like to see more like it, please “Like” the Digital Piano Review Guide Facebook page!